A Place Where You Can Pay with KitKats! How’s this for creative marketing? Train travelers using the Sanriku Railway network in Japan’s Iwate Prefecture can now use KitKats as train passes. 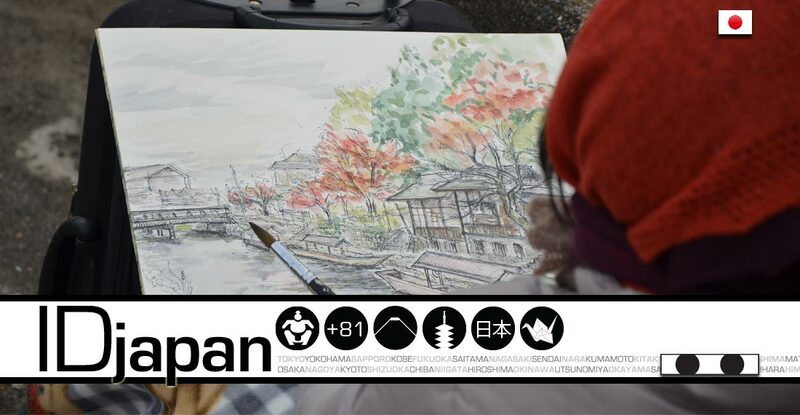 The concept is part of a scheme by Nestlé to rejuvenate tourism in the northern province, following the devastating effects of the 2011 Tōhoku Earthquake. Customers can buy special packs of KitKat for less than the cost of a standard ticket as part of the initiative, which is the first time a Japanese rail company has allowed confectionery packaging to be used as a method of payment. The move isn’t the first time Nestlé has helped the Sanriku railway get back on track following the natural disaster. Consequently, the brand began donating 20 yen (around $0.20) to the rebuilding project for each bar exchanged. 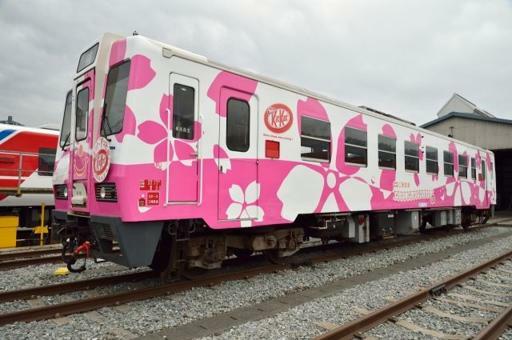 KitKat has also decorated two of the trains and two of the rebuilt stations with cherry blossom motifs, which symbolize hope in Japan. KitKat train in Japan’s Iwate Prefecture. The move comes as the Japanese government recently announced plans to offer free Wi-Fi to tourists who register their passport details upon arriving in the country, in a bid to boost visits from foreign travelers. KitKat train tickets will be available this month and will be valid on Sanriku Railway trains through May 2015. If you’ve ever so much as hung out with a Korean person, you know that they can match drinks with anyone. 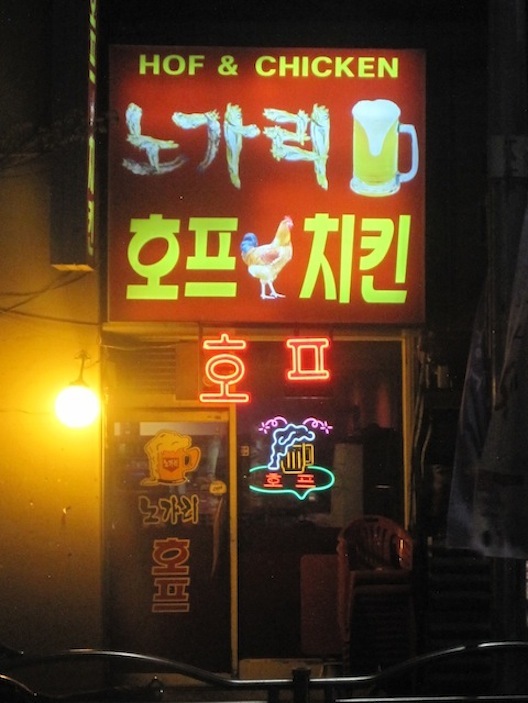 I didn’t even have to go to Korea to first learn this, as I got plenty of education even in the U.S. on what the phrase “Johnnie Black” means to Koreans. 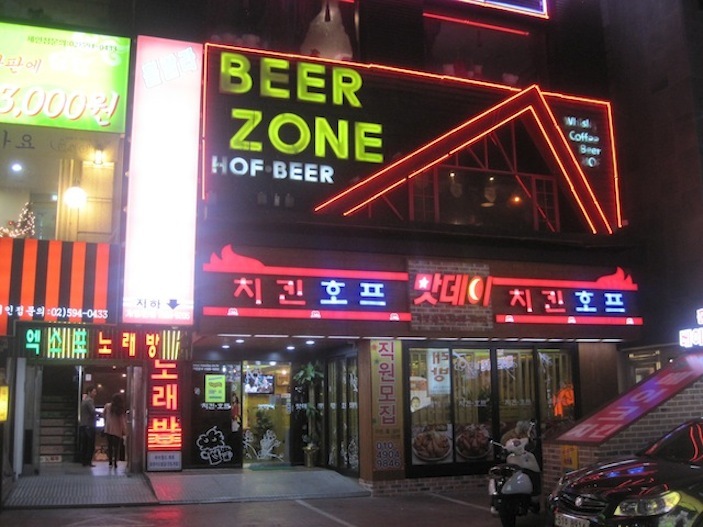 We gave you some advice for drinking with the Chinese, and since each culture in Asia has its own strict drinking rules, we thought we’d do the same in case you find yourself drinking with Koreans. Never, ever, under any circumstances pour your own drink: Just as you are supposed to be looking out for those around you to make sure their glasses are never empty (please, re-fill them if they are), they will be doing the same thing for you. Play along. Use two hands: When someone does pour your drink, hold your cup with both hands. 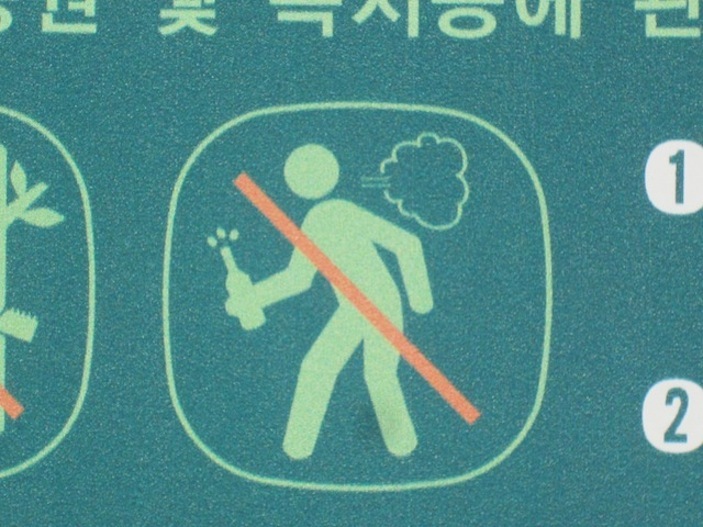 This rule actually applies to anything given to you in Korea, and while you will probably be given a pass if you don’t do this out of unintentional ignorance, better to impress your hosts. 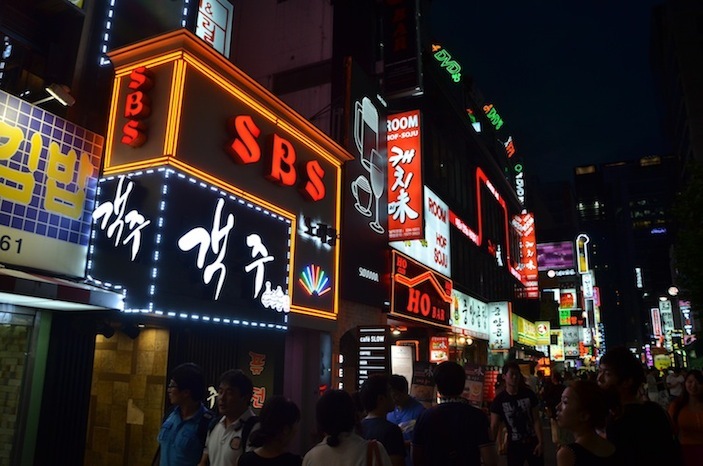 Turn your back: I’m not sure that I agree with it, but Korea is still an incredibly hierarchical society. When drinking with someone who is considered a superior—a boss, older person, etc.—you should drink while turning your back from them when you take your sip. 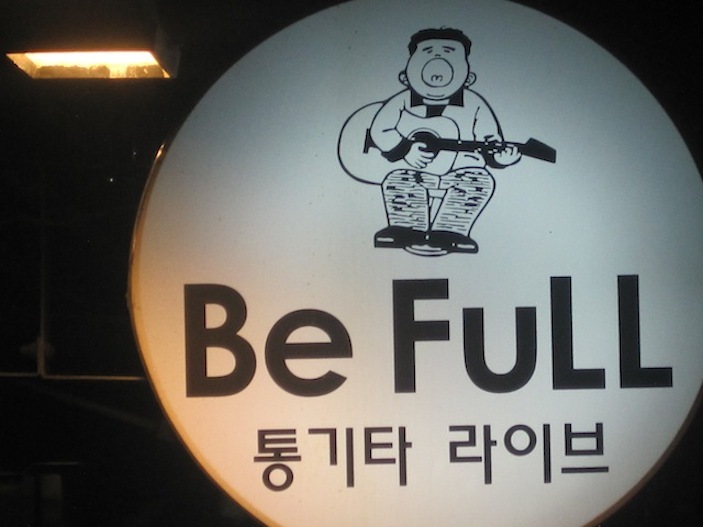 Eat when you can: Very rarely do Koreans drink with only one type of alcohol, and it can be considered rude to turn down a drink (also not sure I agree with this). 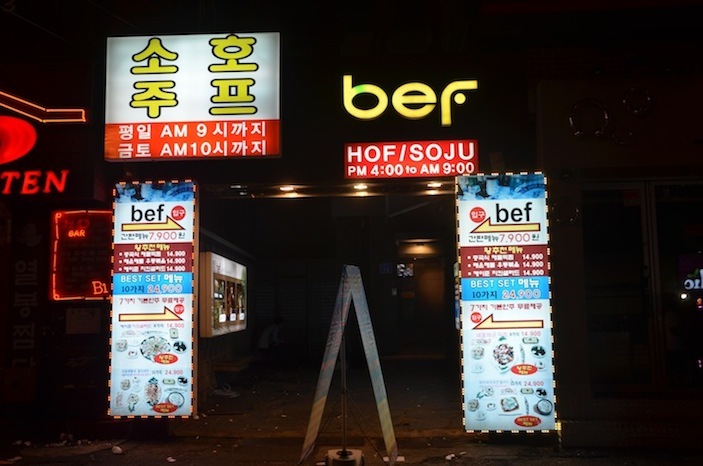 Generally speaking, a night out will involve the traditional Korean vodka-like beverage of soju with dinner, beer with tasty Korean snacks like fried chicken at the next stop (hint: this is where you may want to load up—on food), a stop at another place for more beer, a trip to a karaoke place where you may end up drinking anything, and finally a trip to a club, where you also may be drinking anything. Food won’t be available everywhere, so to soak up your mixed liquor, eat when you can, even if this requires a quick stop by one of the delicious street food vendors selling tasty treats like ddokpoki in between venues. 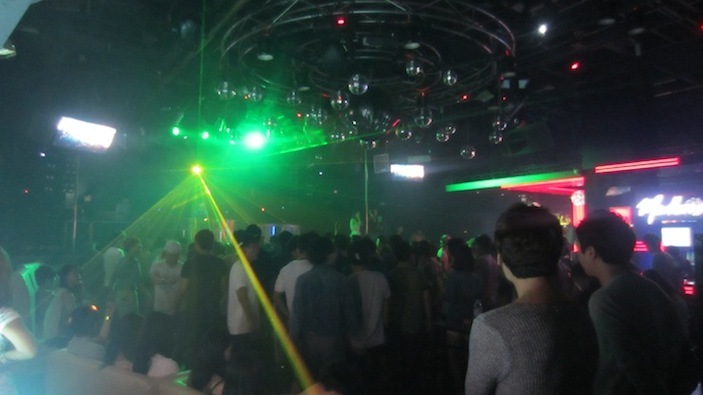 Selective amnesia: Depending how many people you’re out with, someone is going to drink too much. On a good day, this will just mean that he or she passes out at the table you are drinking at, in which case you will just see to it that he or she gets into a taxi safely. On a bad day, this will turn into a meaningless fight for no reason at all. 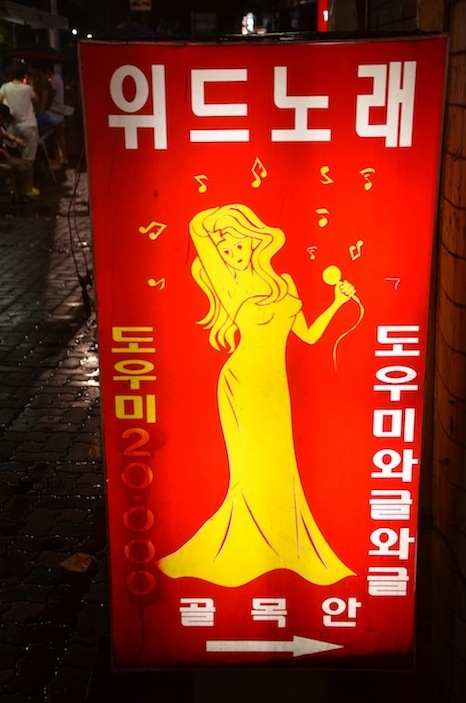 Either way, this isn’t necessarily considered shameful in Korea, since it is expected to happen to the best of them at times, and simply means you’re making a noble effort to keep your drinking skills up. But when it does, a true gentleman will never mention it again. You’ll hope someone extends you the same courtesy when it’s you who is sprawled out on the floor of a Korean bar. Yes, that says 4pm to 9am…. Before 1990 or so, Seattle was a blue collar, industrial city tucked away in the Pacific Northwest. A manufacturing stronghold, it was home to one of the world’s largest aircraft makers—Boeing—and an active naval shipyard. It had a few professional sports teams, a large state university, and a lot of rain. Rain, in fact, was probably what the city was most known for. That all started to change in 1986. 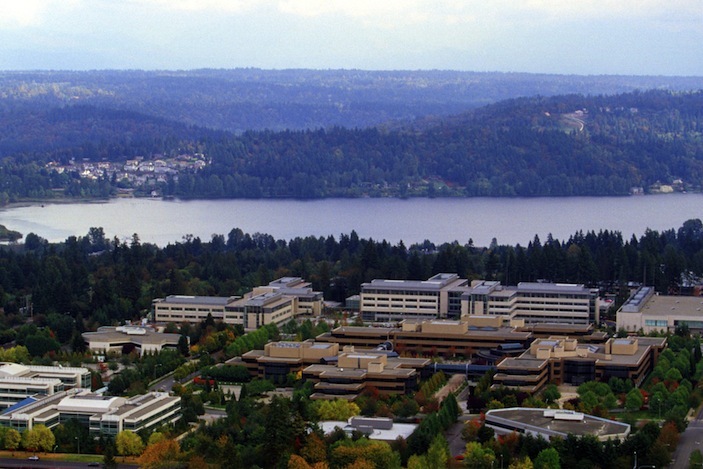 It was in that year that Bill Gates decided to take his obscure computer software company public, giving it a home in the Seattle suburb of Bellevue. The next year, a man named Howard Schultz acquired a small coffee company, with just six stores in Seattle. And a year after that, two kids from the coastal town of Aberdeen, Washington—about two hours away—showed up in Seattle with their guitars and a vision. That obscure software company, Microsoft, would end up becoming the most important name in the beginning of the digital revolution, creating three billionaires and an estimated 12,000 millionnaires among its employees. Seattle was now at the center of the technology world—Silicon Valley before Silicon Valley—and a city with significantly greater purchasing power as well. As for the coffee company, well, it just so happened that Schultz had visited Milano, Italy earlier that year and noticed that there was a coffee bar in just about every corner. People did not just patronize them to fill up on coffee, but rather to meet and greet with friends and colleagues—they were a part of Italy’s social fabric. He decided to try to apply this concept to his new purchase, a little company called Starbucks, and the idea of coffeehouse-as-meeting-place would storm the nation and eventually the world. 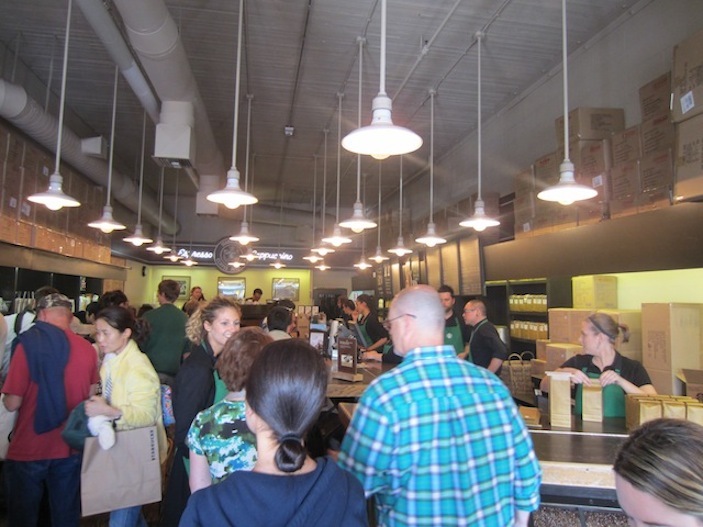 Today, Starbucks has more than 20,000 stores in over 60 countries. And those kids—Krist Novoselic and Kurt Cobain—would create a band called Nirvana and with it, an entire counterculture. 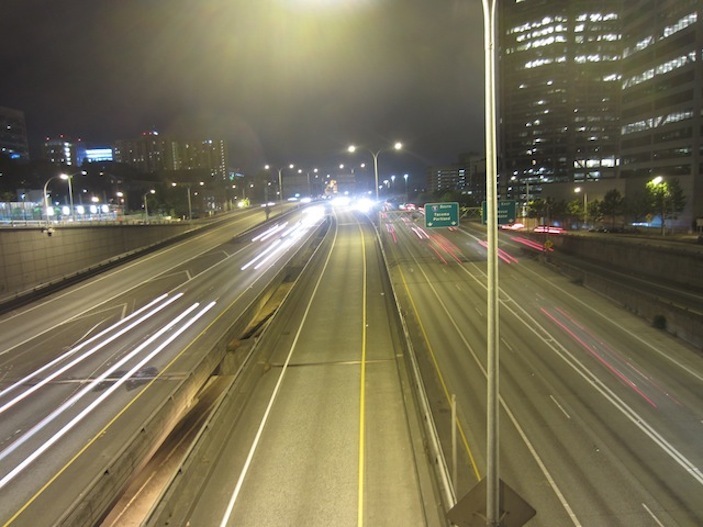 Grunge music was born, and more significantly, Seattle as the creative hub that spawned it. Seattle had had famous musicians before—think Jimi Hendrix—but he in particular spent the majority of his active years in London and elsewhere. 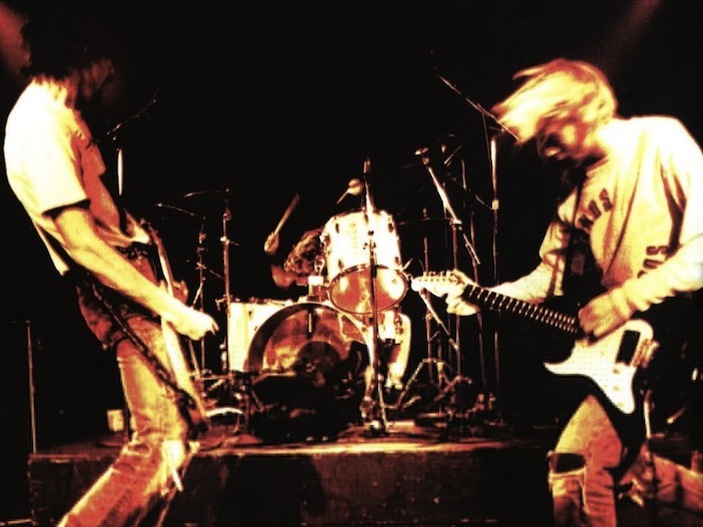 Nirvana truly made Seattle home, and the city that had previously had a small music scene went on to produce Pearl Jam, Soundgarten and Alice in Chains among others. Today, Seattle is regarded as anything but blue collar–a technology hub with an artistic, coffee house culture full of youth and creative energy. For this, it can look back on the years 1986-1988, and those few individuals that sparked the evolution from industrial port city to what it is today, and give thanks. 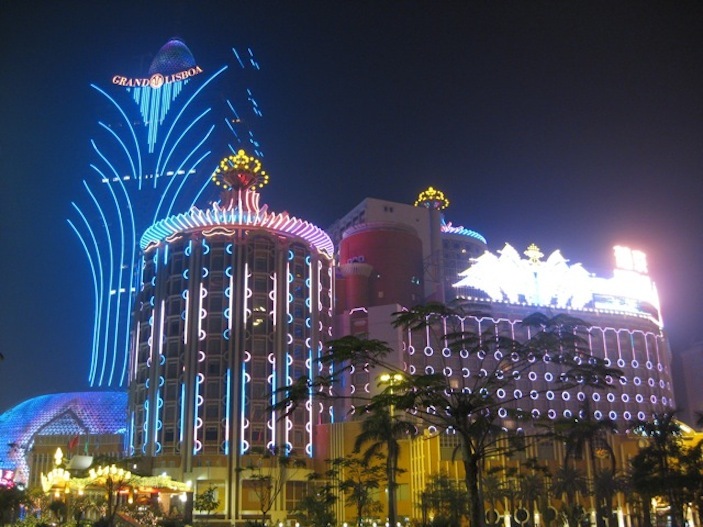 Macau generated the same gambling revenue as Las Vegas in 2004 with just 4% of the number of slot machines and 40% of the gaming tables, and less than 10% of the number of hotel rooms. This reflects the difference in risk-taking propensity between two of the largest market economies in the world. 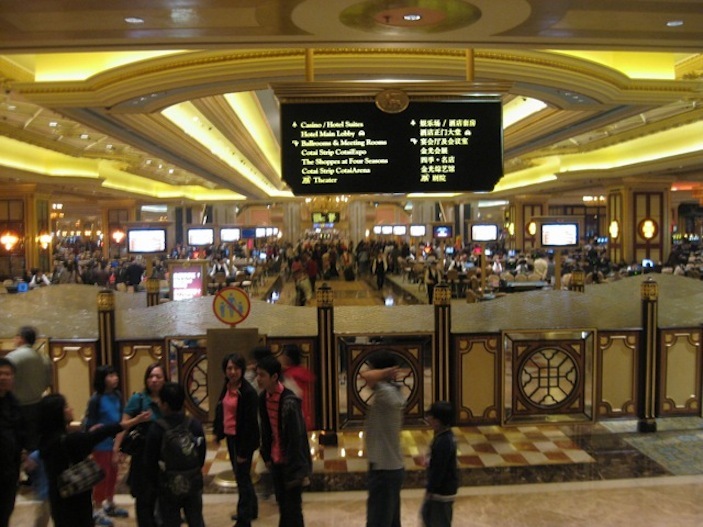 Whereas gambling is largely a form of entertainment in the West–look at how much the club scene is an integral part of the Las Vegas experience as compared with strictly gambling–in China it is seen as something much greater: a battle with destiny or one’s fate. 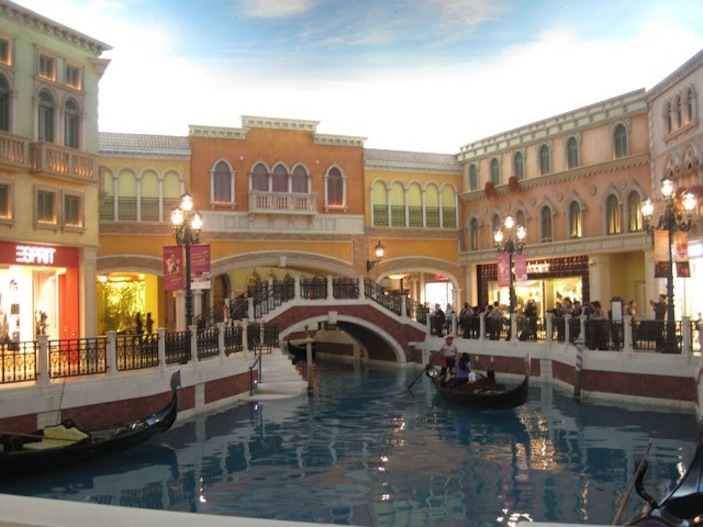 It may take you a visit here and a walk through these casinos to fully understand this. Given that this culture gave us the I Ching, feng shui, lucky numbers in fortune cookies and the like, it is obvious that luck is a primary building block to Chinese culture. I can’t recall how many times, for example, I have nearly tripped over a roast pig, a raw chicken, flowers, or burning incense outside of a shop grand opening while traversing Hong Kong–all offerings for luck. There has been quite a debate in recent years over Ghana’s long history of importing second-hand goods from Europe, and more prominently, the United States. Last Fall, the nation’s government implemented a total ban on the importation of second-hand refrigerators and air conditioners due to their negative environmental impacts, which caused a stir in leaving more than 15,000 people jobless. Many a business has been made in Ghana from breaking down and redistributing products like these—sound cards from trashed computers and alternators and other parts from abandoned cars are among the most immediately useful and sellable. The problem is that the non-useful parts of these machines are then burned in giant bonfires, from which lead, arsenic and mercury have steadily seeped into neighborhood water supplies. This debate is likely not to end anytime soon, but it has a particularly interesting angle in the apparel sector. (For the record, Ghana’s government banned the resale of “unhygienic” items like underwear, handkerchiefs and mattresses in 2011). There are plenty of tailors in the country who are upset that boatloads of useless-in-America shirts (“John Edwards 2008” campaign shirts were in particular abundance) make it difficult for them to compete from a pricing standpoint. Even the clothes that are higher-end, which have long been passed from first-world countries to here—can spark debate. See, there is a common myth in Ghana that no citizen of a developed country would wear the clothes of an obruni wawu (“dead white man”), and so the clothes sent here all came from obrunis. This is not true, of course (perhaps Ghanaians should listen to American rapper Macklemore’s hit song introducing second-hand thrift shopping as something cool in pop culture), and good quality clothes here can be scored as a result: stylish t-shirts for two or three cedi (USD$1-$1.50), designer jeans for about 10 cedi (USD$5), and so on. There is no doubt that second-hand goods from developed countries will continue to be part of Ghana’s economy, the question is just exactly how much. In perfect timing in light of our recent post on McDonald’s first foray into France over 30 years ago, the company this month announced the introduction of a new addition to their menu in France: The McBaguette. The sandwich features a shorter version of the traditional french baguette with ham, cheese and potato topped with lettuce and mayonnaise. If you’re feeling a bit more risque, you can go for the chicken & pepper or spicy beef alternatives. Ironically, the McBaguette represents McDonald’s push to capitalize on France’s economic slump and 13-year-high unemployment rate. With times being tight, the proud French may be much more likely to eschew their cafe culture and embrace the cheapest meal they can find. Perhaps a 4.50-Euro McBaguette? As we outlined previously, French people do not necessarily dislike their American counterparts. In fact, as with most of the world, many young French people are heavily influenced by American pop culture, given the prevalence of American music and film on the global stage. This wasn’t always the case, though, and I wanted to share a really interesting story I remember my Strategic Marketing professor telling me about how McDonald’s began the infiltration of American culture into France. When McDonald’s emerged in France in 1979, the country didn’t have fast food. It was a new concept. As highlighted in another post, the French and eating fast typically don’t mix. Secondly, the audience McDonald’s market research team found that the people it should target initially were those old enough to remember World War 2, as they were the sector of the French population who liked America, which McDonald’s represented, the most. These older people simply didn’t understand the concept of eating with their hands. So the marketing task became a matter of educating their target market first on the process of ordering without being served by a waiter, then seating themselves, and finally that they could actually touch food with their hands—a huge taboo in traditional French culture. So when McDonald’s first started marketing in France, their advertisements introduced an elderly couple demonstrating a range of “firsts” in the country: walking into the McDonald’s lobby (which was vastly different from competing cafes), standing in line (a new concept), reviewing the menu (French cafes at the time—besides obvious tourists ones— didn’t have a menu, as the French genetically understand what is on a café’s menu), ordering with a smiling server (French restaurant staff rarely smile), and bringing their own food back to the table (French cafes always had a gausson, or waiter). When the couple was set to eat, they realized that they didn’t know how to eat the hamburger, reaching for a knife and fork (as touching food was unthinkable in France). Finally, a group of teenagers spotted the couple, approached them and demonstrated how to pick up and unwrap the burger. McDonald’s became popular in France, and the French had become American without even knowing it! Hong Kong, like much of Asia, is great for many things. From landscapes and architecture to food and nightlife, it’s a vibrant, bustling city full of energy. But, also like much of Asia, don’t expect creative thinking or ability to improvise in a work setting to be one of the traits you notice. While there are certainly creative communities throughout Hong Kong and Asia as a whole, and actually many governments are actively making an effort to encourage the development of more, Asian companies still tend to exercise a firm grip over the thought processes and freedoms of their employees. In other words, coming up with your own way of doing things is not encouraged here, like it is in Silicon Valley firms or other creative hotbeds around the world. A ramen shop, of all places, would be the least likely place I’d expect to notice this approach to management, but sure enough I did while having lunch at Hong Kong International Airport. Like many restaurants, this particular shop offers set combo menus to make it easy for time-sensitive travelers. Given that I had several hours to kill, however, I was in no rush. 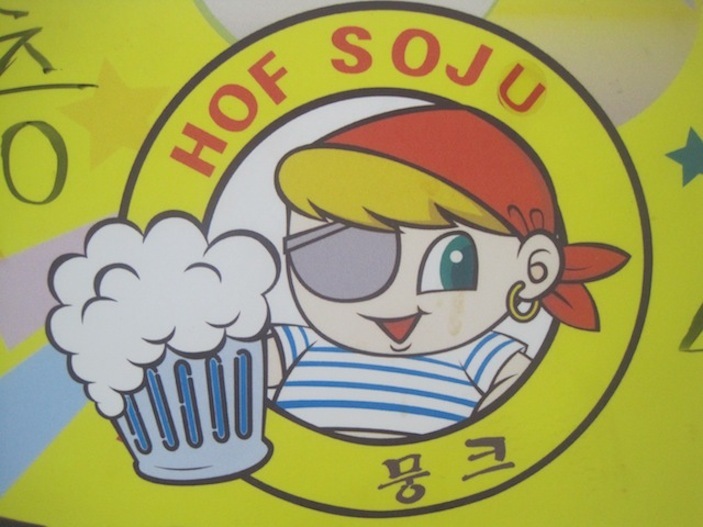 As I looked over the menu, I noticed that there were different side dishes available with different main courses, but the offers were specific. In other words, you could not choose one main course ramen and one side—it was strictly Ramen AB with Side C, or Ramen DE with Side F, etc. I wanted Ramen AB with Side F, and figured it would be no trouble by simply asking the waitress. When I did, however, the expression on her face became as if I had just asked her to disprove the Fibionacci Sequence—total confusion. She said tersely that I could not order those dishes together, but offered me another combo instead. It certainly wasn’t a big deal, but something I noticed so typical of many Asian business cultures—don’t challenge the authority. The restaurant obviously knew much more than me which dishes I would like to compliment each other. Make sure your palette doesn’t want something different from the standard offering! I’m on a mission, out for a cause. You see, I like to drink cachaça. And when I leave Brasil, I have a hard time finding it. That’s a problem. No matter where you are in the world, go to a bar and you’re likely to see the usual suspects—Heineken, vodka, whiskey, the occasional gin or cognac, rum, a few local beers, maybe a Guinness—and that’s what you drink. And I have no issue with that. But I have yet to hear a good argument as to why vodka is deserving of worldwide fame and cachaça isn’t. With beer, it’s simple. 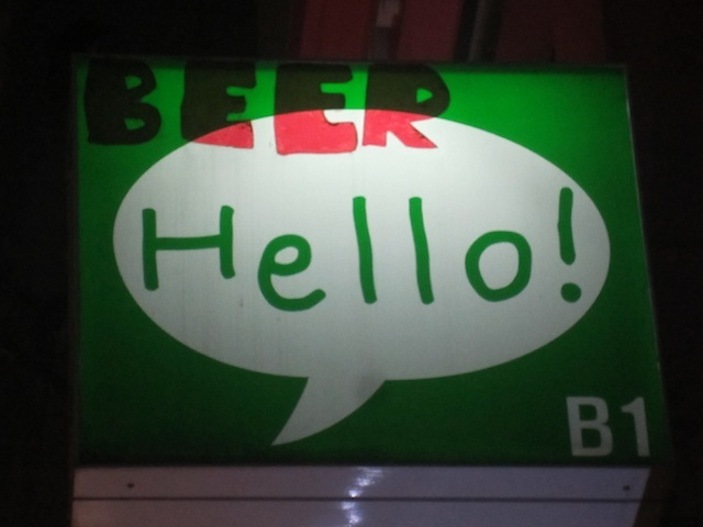 Beer is everywhere, and although there are hundreds of beers around the world that may taste better, Heineken is a global marketing machine, backed by hundreds of millions of dollars of marketing budget. But there is no brand of vodka, or any of the other liquors mentioned, that is ubiquitous. Sure, names like Grey Goose and Jack Daniels make a valiant effort, but it’s the drink itself, independent of brand name, that has the global fame and global reach. 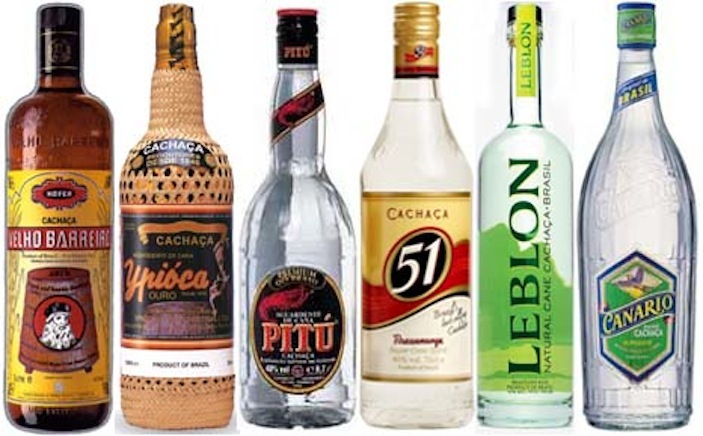 More than 4,0000 brands of cachaça can be found in Brasil, which combine to produce an estimated 1.5 billion liters annually to the tune of approximately USD $130 billion in revenues. And yet, only 1 percent—one freakin’ percent—of that haul is exported (most of this to Germany, a testament to the wisdom of our Deutsch brethren). With that kind of production, consumption and bottom line, you’d think someone would have tried to grow this market outside of Brasil. As for the drink itself, it is the distillation of pure sugar cane juice—a fresh, fragrant, aromatic and smooth distillate that is either prata (silver, or unaged) or ouro (gold, which the liquor resembles after it is aged)–typically anywhere from 38% to 50% alcohol by volume. The aging process can extend for anywhere from one to 15 years, and because of the added flavor it provides, aged cachaças tend to be more expensive and enjoyed by themselves. 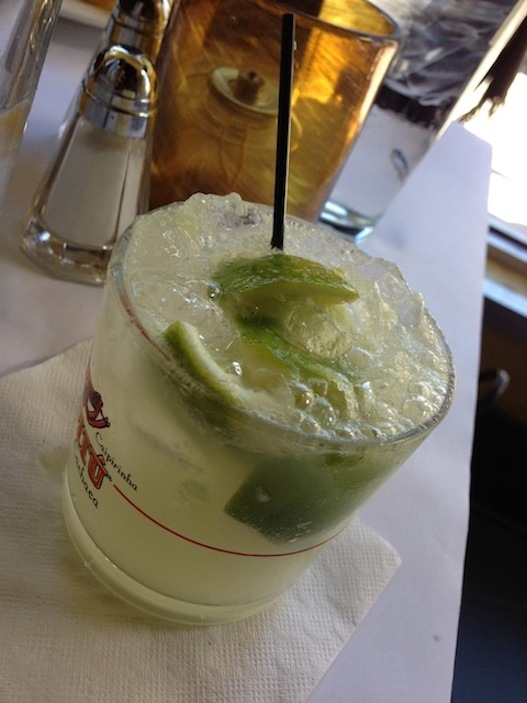 Unaged cachaças are most widely used mixed with muddled lime and sugar in the national drink of Brasil, the caipirinha (which happens to be, for my two cents, the best drink on the planet). Also known as aguardente (“burning water”), pinga and caninha among other names, cachaça can be considered a relative to rum, except that rum is made from molasses (a byproduct from refineries that boil the cane juice to extract as much sugar crystal as possible), while cachaça is made from fresh sugarcane juice that is fermented and distilled. So ironically enough, rum is actually a lower-quality offshoot of cachaça, and yet it enjoys global distribution while cachaça remains a Brazilian gem. Is that because of a cost difference? I doubt it, given that a wine-sized bottle of Pitú or 51 (Cinquenta y un), which are two of the most popular brands of unaged cachaça, can be gobbled up at supermarkets in Brasil for 4 or 5 reals, or the equivalent of about $2 USD. The only conclusion I can think of is that cachaça makers spend their time and effort producing quality cachaça, rather than promoting their brands. Or perhaps this is just Brasil’s way of keeping one of their secret gems amongst themselves to enjoy, just to spite the rest of the world. But I have no doubt that with the right marketing strategy (see our tale about McDonalds’ humble introduction into France), cachaça would become a globally-enjoyed beverage, possibly above all others. Post-Apartheid (Reverse) Discrimination in South Africa? South Africa was built on apartheid. For generations prior to 1994, blacks and whites were separated, with the whites essentially exploiting the powerless blacks for immense wealth and power. Blacks, who make up around 77% of the population of 45 million, were denied citizenship, subjected to legalized oppression and limited to menial, labor-intensive jobs. “Coloreds,” or people of mixed race, and Indians were placed socially above the blacks, but still considered inferior to the whites that comprised only 10% of the population. Today, less than 20 years later, despite a Nelson Mandela-led transition into equality that went far smoother than could have been expected, race-related tension is still prominent. One of the areas in which this is most noticeable is in the jobs sector, with whites often complaining that the affirmative action measures in place tip the scales far too much against them. Since the Employment Equity Act that was introduced in 1998, companies with 50 employees or more are required to provide equal opportunity for people that were previous disadvantaged on the grounds of race. While it applies to all sectors, enforcement officials have given extra attention to the banking, mining and insurance industries, which were historically dominated by whites. This is a very touchy subject. Because while one can logically argue that by limiting promotional opportunities for whites—you run the risk of brain drain and losing competitiveness on a global scale, not on the basis of race but on education and experience, non-whites were also legally prevented from attaining education and experience to develop managerial skills. But if you look at the numbers, surveys have shown that blacks currently hold around 30% of professional management positions in the country—still a far lower ratio than their demographic representation. It is also evident that the representation of blacks at the highest levels of management is still more than 80% lower than in “unskilled and defined decision-making” positions. This debate has gone beyond the traditional job markets, even into decisions about rosters on the nation’s athletic teams. It was a huge scandal in 2002 when president of the country’s cricket board ordered the replacement of a white player with one of mixed race. The country is passionate about cricket, and whites complained that their 100 years of experience in the sport warranted inclusion on the national team. Blacks, however, argued that they were essentially banned from the sport for those 100 years, and thus were more than deserving of opportunities to reach a level playing field now. Given the actual numbers mentioned above, it is hard to really give credibility to the white argument that they are suffering and battling the odds. They are simply having to work harder for things that were handed to them before, and I sincerely hope that rather than spark racial tensions on micro levels, it will lead to finally a truly equal society on the macro level. For a country that prides itself on being the “Rainbow Nation”, this is not only desirable, but essential.